I’ve slurped water. I’ve guzzled it. I’ve sipped it. But I’ve never eaten it. That changed when I tried my first Ooho. 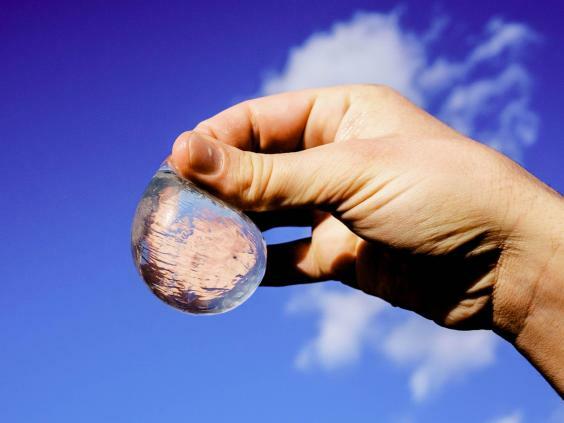 Ooho – or edible water – is the brainchild of Pierre Paslier and Rodrigo Garcia Gonzalez, who wanted to create an alternative to plastic bottles, the ones many of us buy everyday and toss away. Their ingenious solution is an edible, seaweed-based membrane that holds water. 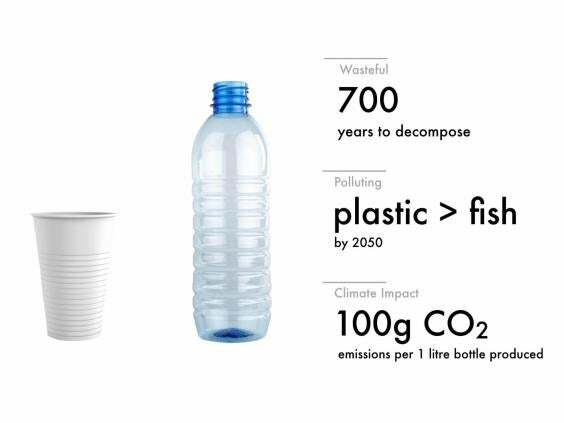 The group Recycle Now estimates that the average UK household uses around 480 plastic bottles a year but only recycles around 270, so nearly half are never recycled. That translates into nearly 16 million bottles dumped every year across the country, winding up in landfills or the ocean. Of course, not all of those are water bottles but they are a big culprit. The problem is compounded, Paslier says, since it takes a lot of natural resources to make plastic bottles in the first place, making them costly in more ways than one. Quirky? Yes, but also very smart. Their company Skipping Rocks Lab just launched a funding initiative through Crowdcube and raised £850,000 in only 72 hours, smashing their initial target of £400,000. The two met while studying for a masters in innovation design engineering, a programme offered jointly by Imperial College and the Royal College of Art in London. Coming up with the idea for Ooho was the first step but turning it into a reality was another. “It’s definitely an uphill battle, I’m not going to lie. But at the same time, it’s easier than ever for ideas like this to become a reality,” Paslier says, but help from a programme called Climate-KIC, the EU’s climate innovation initiative, was invaluable in getting started. And what’s it like to eat/drink an Ooho? It’s surprisingly easy (I had worried that it would burst like a water balloon) and you can eat the seaweed membrane or discard it. “It’s fun, it’s different and provides a completely guilt-free experience,” says Paslier. Not bad for a drink of water.